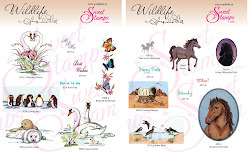 This week at Sweet Stamps we have our 119th challenge. Simply elegant! I love the colors and pearls and the decorated inside panels too! 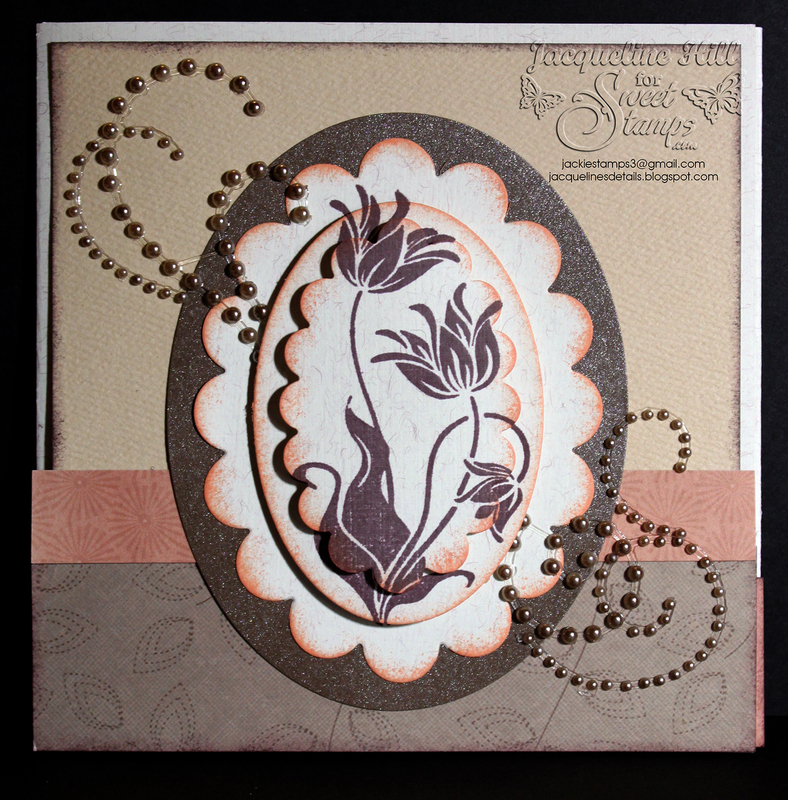 Great triple layering on the stylish tulips image! Very nice! 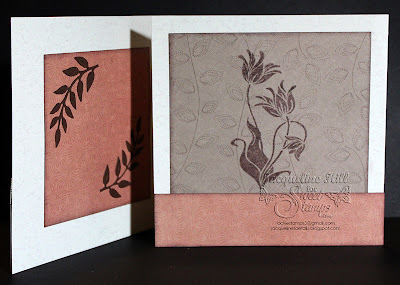 I love how you stamped and layered it. Wonderful card!!! Lovely card with such a perfect colors! 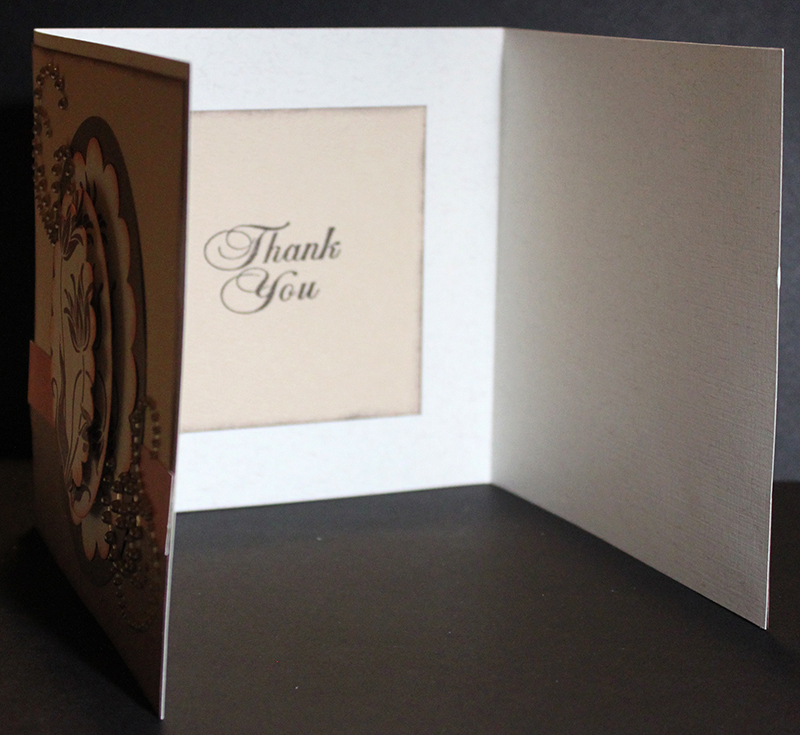 Love the colors you chose and the elegant look of your card both inside and out. Beautiful!! 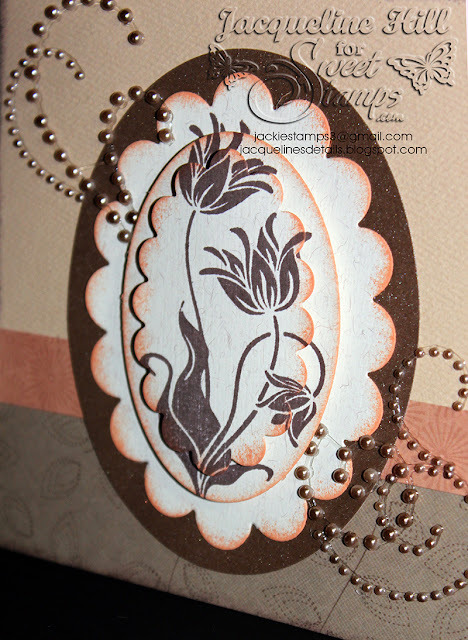 Loving so much about this card from the way it opens to the layering of the flowers on the front! Beautifully done! So pretty! I love those pearl accents and your colours are fabulous! A lovely card...I like the way you stamped the image on multiple layers. Love how you worked with the darker colors. Very striking! Lovely card, I really like the die layering!! Beautiful! 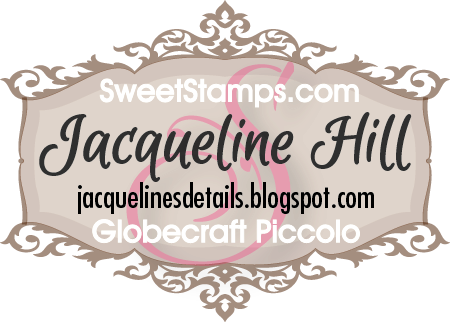 Jacqueline- This is stunning card. 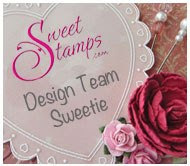 Do you feel like me, accomplished when you complete a card inside and out!! Well you should with this card. This is incredibly beautiful.